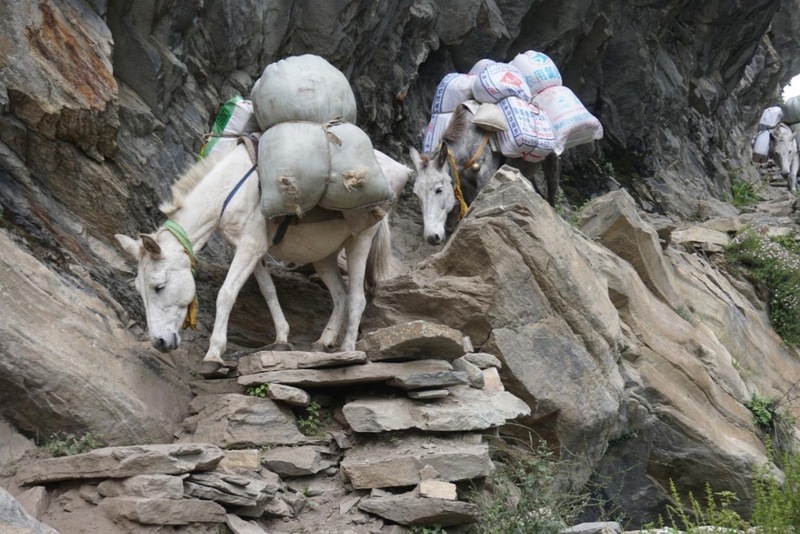 The trekking animals of Nepal are some of the hardest working creatures you will ever encounter. 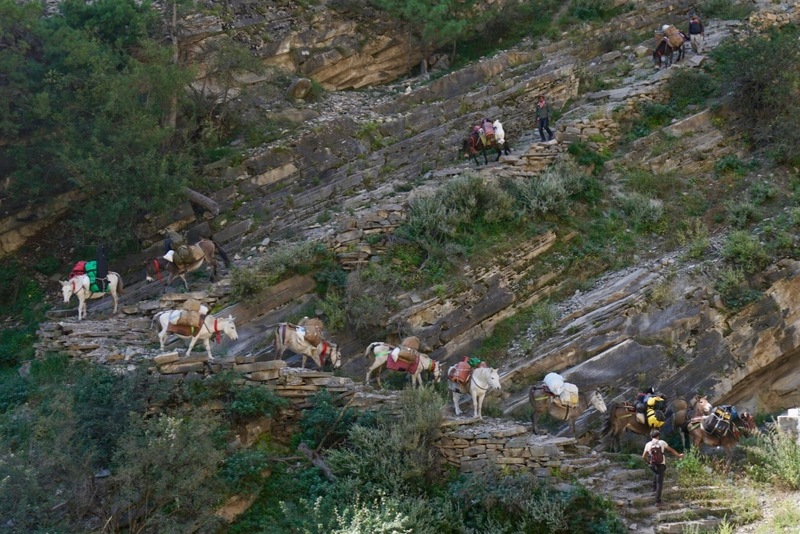 They are the horses and mules that accompany teams high in the Himalayan mountains. These animals traverse trails that are death-defying all the while carrying heavy supply-laden packs. They are a vital and integral part of many expeditions. My name is Dr. Barbara Burggraaff, and I first got to meet these amazing beings in 2017 while on a humanitarian medical team organized by Rev. Joan Halifax and the Upaya Zen Center called the Nomads clinic. Since 1980, a group of western and Nepali volunteers, has traveled to the Himalayas and Tibetan plateau bringing medical support into very remote, high altitude regions. The only way these areas can be accessed is on foot and by horse. As a lifelong horse woman, I have a special affinity for these majestic animals. On that trip, we noticed that several of the animals suffered from deep pressure sores on their backs and withers which seemed to be caused by the lack of proper saddle pads. When we asked the horsemen and the mule men on the team if there was anything that would help make their lives and their animals lives easier, they all said proper saddle pads. Upon returning home we found an amazing nonprofit in Nepal called Rokpa ( www.rokpa.org). One of the many services they provide is to assist destitute women with children in Nepal. ROKPA offers training for women to become seamstresses with the promise of a job to follow. A fair salary saves them from a life in the streets and enables their children to go to school. Rokpa helped to design and produce a beautiful and sturdy saddle pad with 1/2 inch felt for 75 animals. So many of you made this happen by funding the project last year, and the money was well spent. Not only did your contribution help severely needy single mothers gain training and meaningful employment, the blankets gave tremendous relief to the trekking animals. 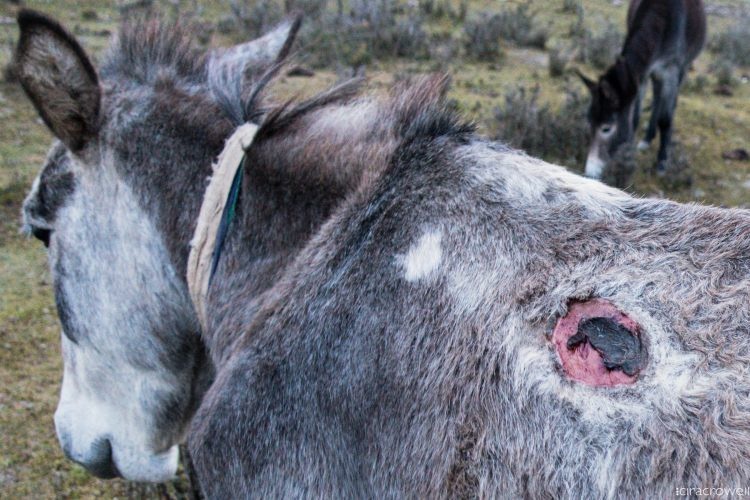 The year before the blankets were used, an estimated 1 in 4 horses or mules (out of approximately 100) suffered deep back sores and ulcerations. In sharp contrast, in 2018, with the new blankets, there was only 1 mule that developed a back sore, and it was mild. We knew the proper blankets would help, but had no idea just how much relief they would provide! 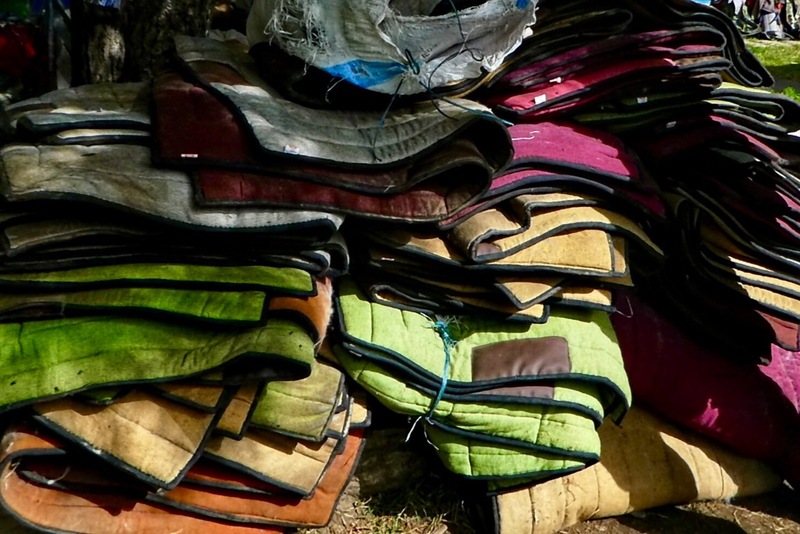 With your help, we are hoping to expand the assistance for 2019, and provide not only proper saddle pads, but also fleece girth covers, medications, and dewormers for several hundred animals. We also encountered many animals along the trail, that were injured or in someway were in need of care. With your help, we will put together a detailed mobile animal treatment kit that will help allow us to address urgent issues on the trail such as lameness, lacerations, infections, colic and other common problems. Please be a part of this effort that will significantly impact the lives of single mothers in Nepal as well as so many deserving animals. 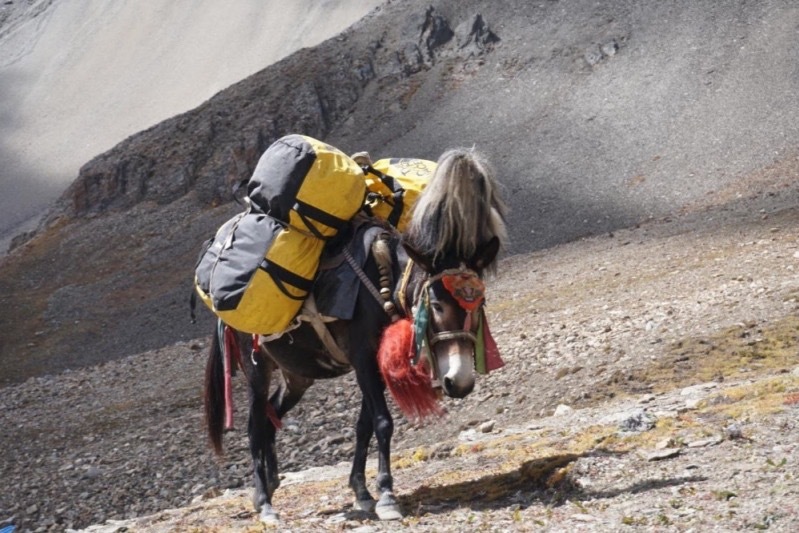 For a donation of $200 or more, you will receive a 2019 calendar featuring trekking horses and mules in the sweeping majestic Himalayan mountains. All photos taken by lindsay brant a talented artist and ICU nurse, a fellow Nomads team member, and an integral part of this campaign.